We wrapped up our Christmas fun this weekend and started looking forward to the next big event: New Year's Eve. We'll most likely be home that evening but we're still looking forward to the fun of the night. As we look forward we're putting together a few new ideas to add to the festivities of the evening. 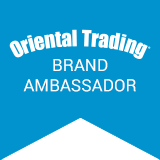 This post may contain affiliate links, thank you for your support of this blog. Last year we started the new tradition of New Year's Eve Bags for the Whole Family. We're hoping to continue that tradition this year. But we did start thinking this week about how we can prepare a little more for the coming night. 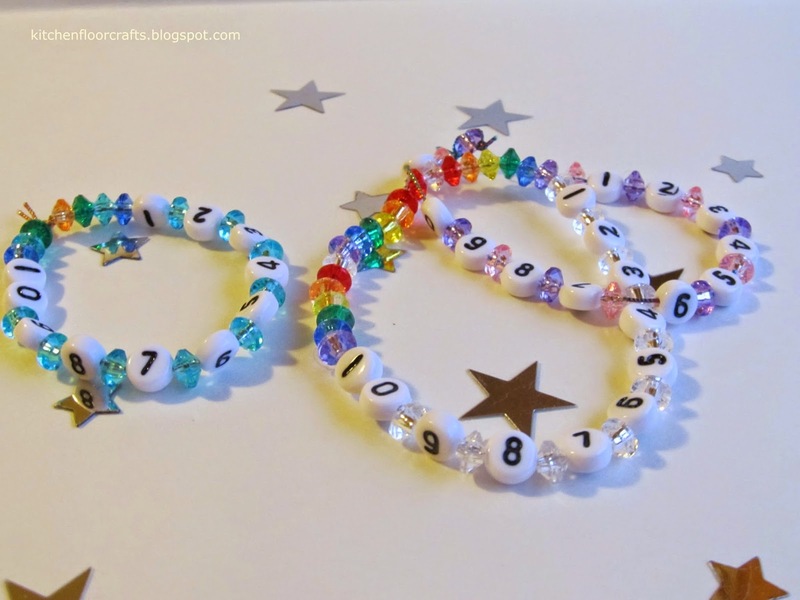 Big Brother has been really engaged with the ideas of numbers and counting sequences lately so we put together these Countdown Bracelets. Beading is definitely a go to craft for us here when we need some quiet down time. 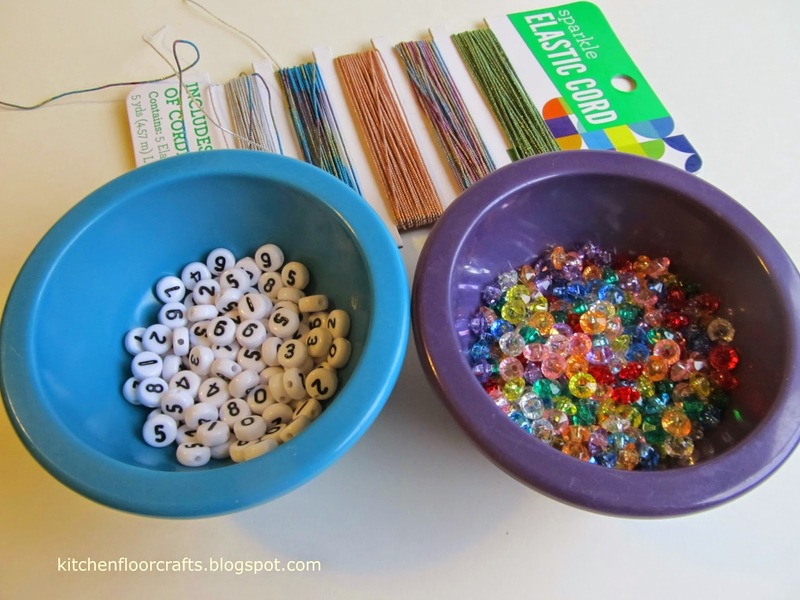 (Check out these posts about Building Math Skills with Beading and Beading with 5 Household Objects.) 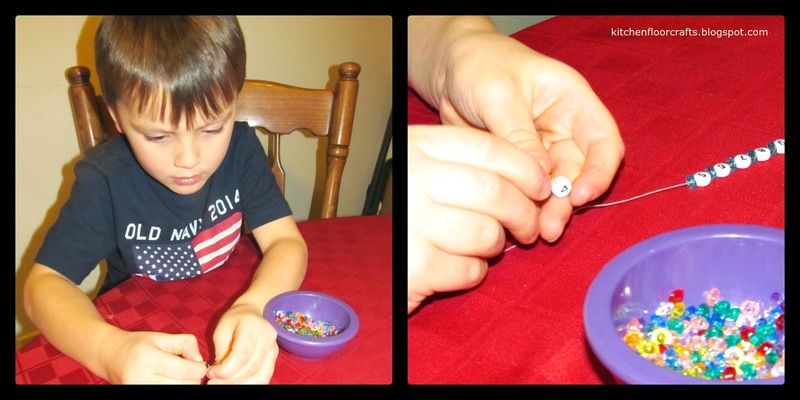 Over time Big Brother has been able to move to smaller beads as his fine motor skills improve. This project used much smaller beads so it is better suited for older preschoolers or elementary school kids. He decided to make two, one bracelet for himself and one bracelet for his cousin. As we worked we would practice saying what numbers can next (or in this case before) the number we had just put on. 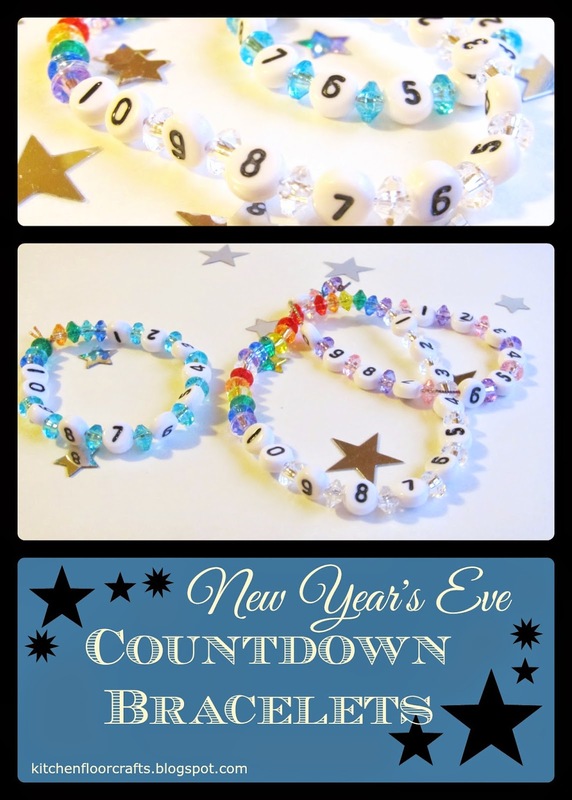 In the end we created several Countdown Bracelets. Big Brother will not actually make it until midnight, we'll probably do his midnight earlier in the evening. 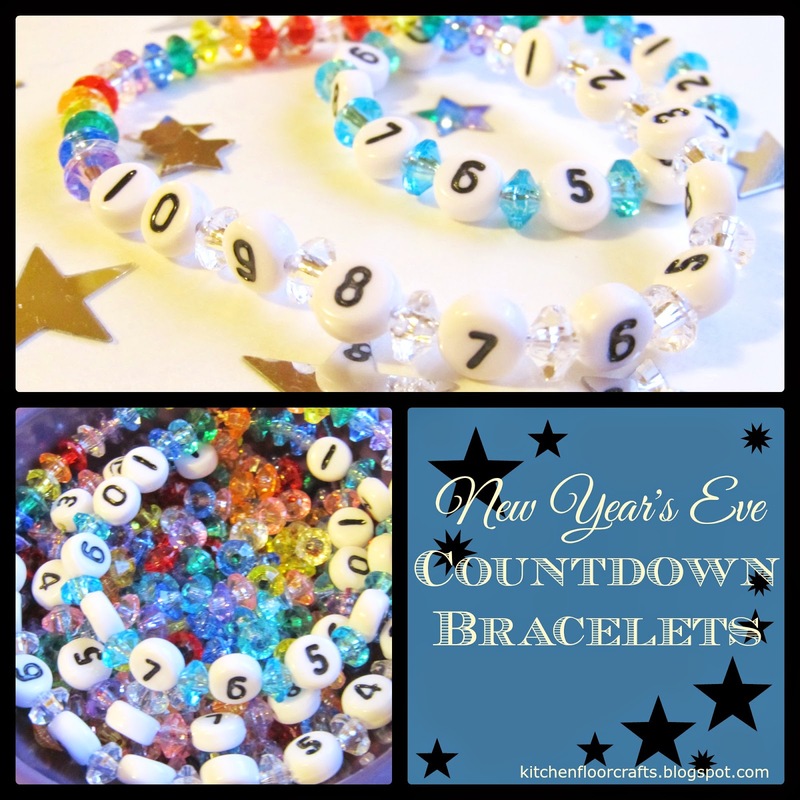 But we can still use the bracelets as we countdown to the end of our evening festivities. These would also be a great idea for an activity station at a kid friendly New Year's Eve party. Not celebrating New Year's Eve anymore? How about using them as a way to countdown the blast off of an imaginary rocket ship? What countdown traditions do you do with kids?